Trying to find the JAMES BOND in you? 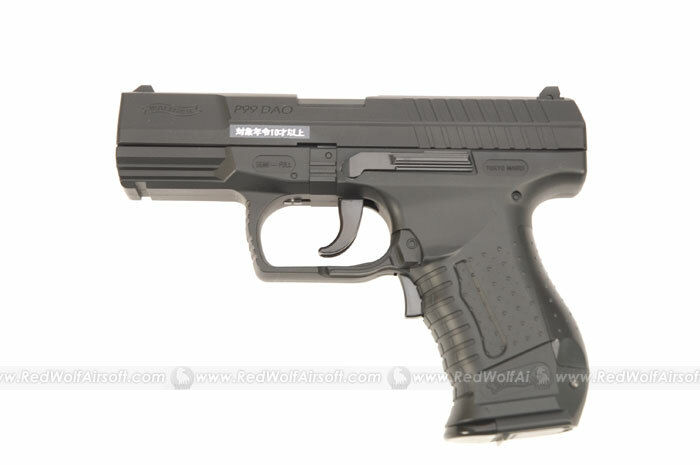 Then pick up this P99 which is the designated sidearm for 007. Forget about racking the slide every time you fire, this Tokyo Marui P99 EBB is operated by 4x AAA batteries and cycles automatically on each trigger pull. This pistol is suitable for small skirmishes in your backyard, but remember this is still an airsoft gun, so please wear your safety glasses before you go plinking at each other! The stick type magazine holds up to 16rds, and is able to fire on semi-sutomatic. It also has Hop-Up for added distance.